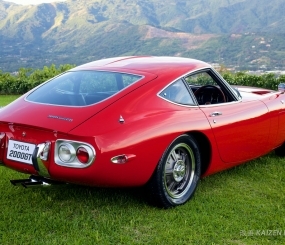 A piece of Toyota Motorsports (now Toyota Racing) history is currently for sale in NorCal at San Francisco Toyota. 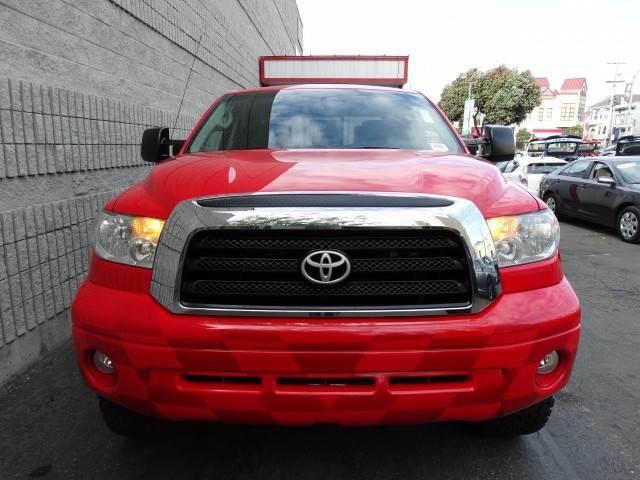 It’s a 2007 Toyota Tundra 4WD Double Cab Standard Bed SR5 which was previously owned by Toyota Motorsports. 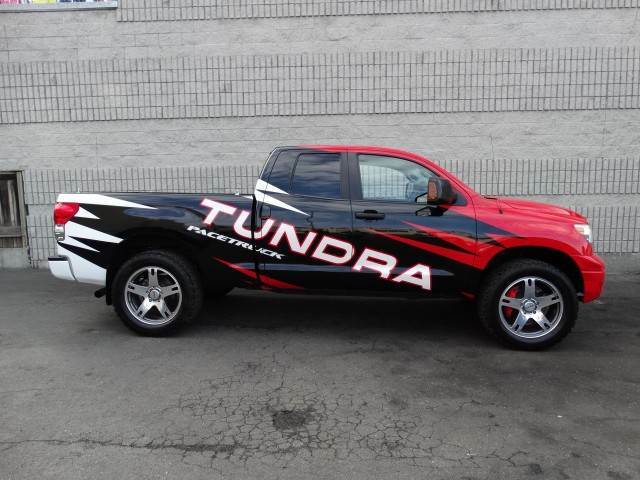 This Tundra “Pace Truck” was used in various Toyota motorsports activities at track venues all over the United States. You usually found this rig accompanying one other Tundra Pace Truck (2WD Regular Cab Short Bed). It’s also usually parked with the Pro/Celebrity race cars and various Camry and Lexus pace cars at the Toyota Grand Prix of Long Beach. 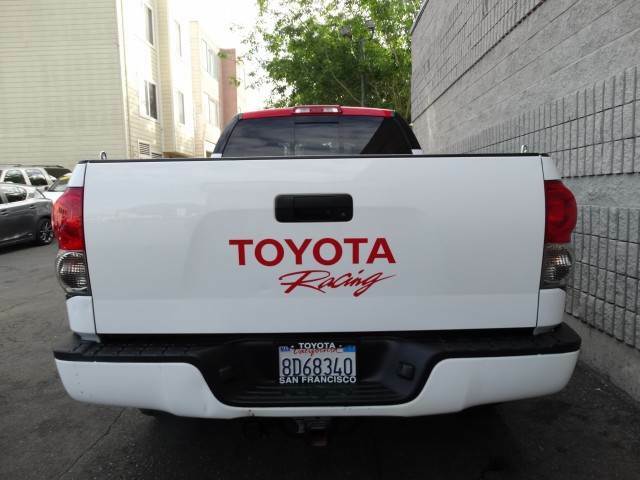 On the off season, this Tundra is used as a support truck for Motorsports Garage and can be spotted driving around Torrance near Toyota’s national headquarters. 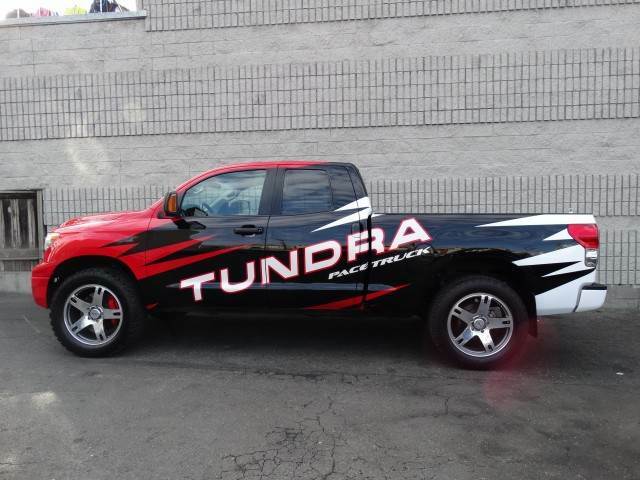 I spotted this Tundra Pace Truck most recently around Las Vegas during the SEMA Show this past November. 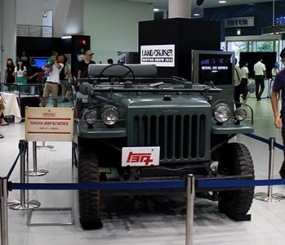 It was probably the last place it was driven to before its retirement. 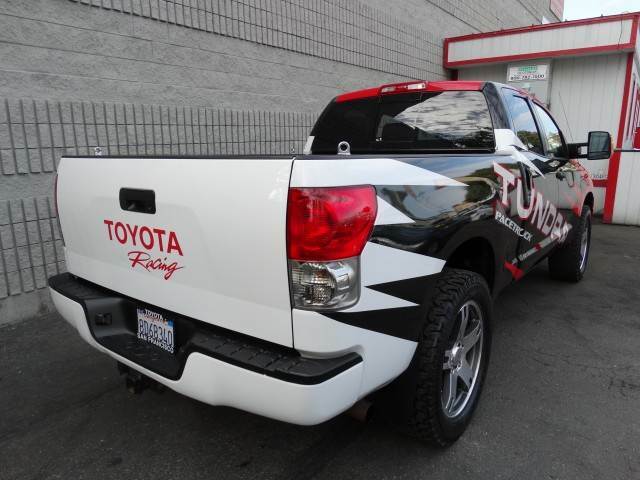 This Tundra features the iconic Toyota Motorsports “splash” graphics found on many of the in-house motorsports vehicles including the famous closed transporters which majority of the Lexus LFAs were delivered in. The iconic design which is now being phased out was done by the late Molly Sanders of Molly Designs. 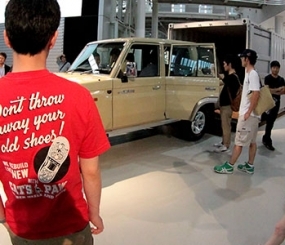 I will do a feature on Molly Sanders and his importance to Toyota history in the future. 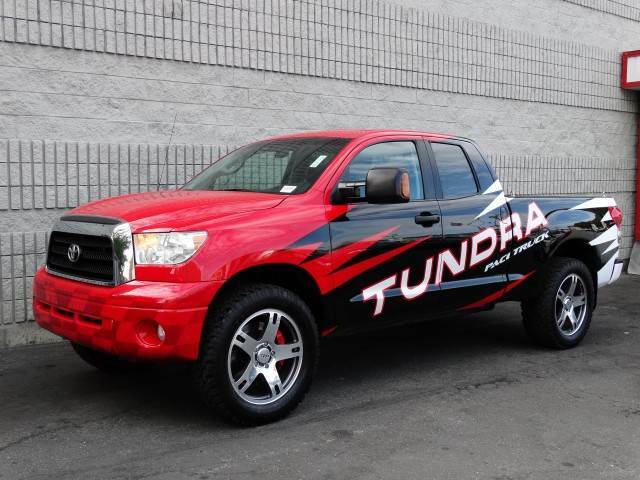 This Tundra is equipped with a set of TRD 22″ 5-Spoke Forged Alloy Wheels with BF Goodrich All-Terrain T/A tires and a set of TRD Big Brakes. 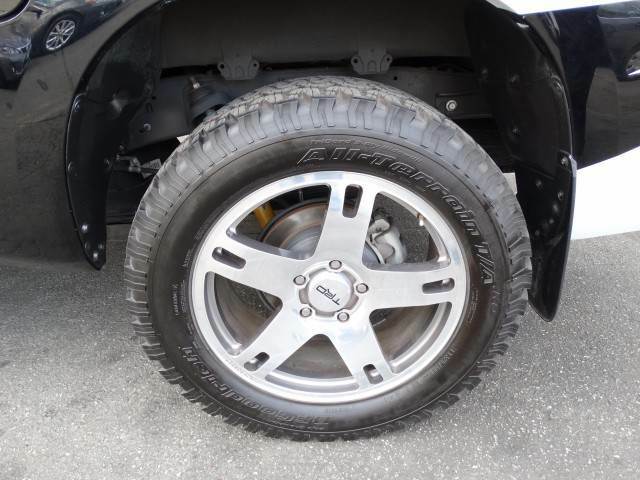 It also rides on the stock TRD/Bilstein suspension from the factory TRD Off-Road Package. 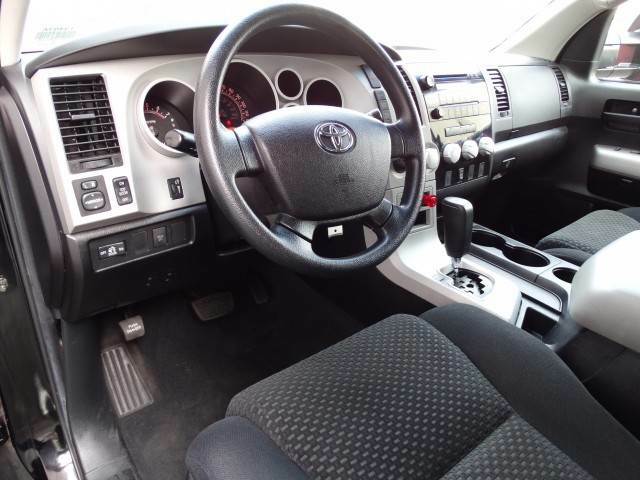 This Tundra is now retired but is probably being replaced with a newer version, perhaps a Tundra TRD Pro? 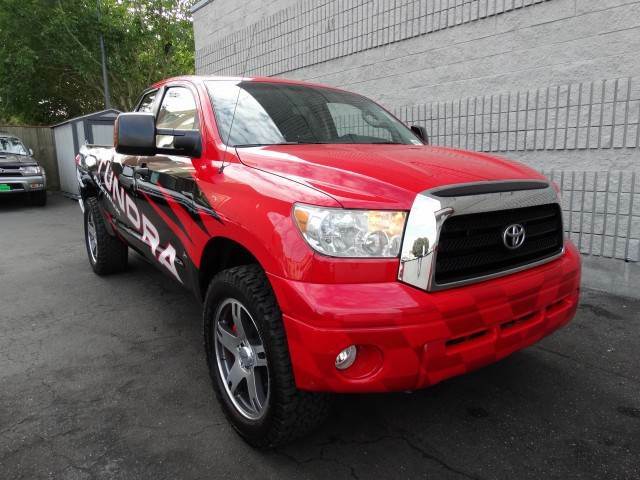 This Tundra features a ton of mods for the money and is a rare opportunity for anyone to own a piece of Toyota Motorsports history.